Lavandula angustifolia (also Lavandula spica or Lavandula vera; Common Lavender, True lavender, or inaccurately, 'English' Lavender; formerly L. officinalis) is a flowering plant in the family Lamiaceae, native to the western Mediterranean region, primarily in the Pyrenees and other mountains in northern Spain. 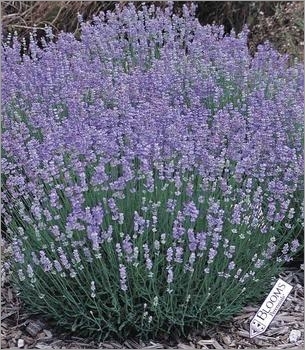 It is not native to England despite being commonly called 'English lavender' in some regions. It is a strongly aromatic shrub growing to 1-2 m tall. The leaves are evergreen, 2-6 cm long and 4-6 mm broad. 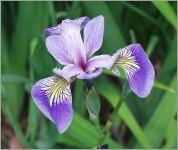 The flowers are pinkish-purple (lavender-coloured), produced on spikes 2-8 cm long at the top of slender leafless stems 10-30 cm long.